Consulting and assistance services for the supervision of the construction works of the North - Northwest high speed corridor. Sections: Segovia - Valdestillas and Olmedo - Zamora. Section length: 92 km. Installation of noise barriers at the high speed platform, for those areas exceeding maximum permitted noise levels. Connection of the Madrid – Valladolid – North high speed line to the future Olmedo – Zamora railway line, by two turnouts running from the main tracks. They consist in two single-track branch lines with an approximate length of 3 km each. The left branch line is straight and the right branch traverses the main tracks by means of a flyover, which required the construction of an arched support structure. 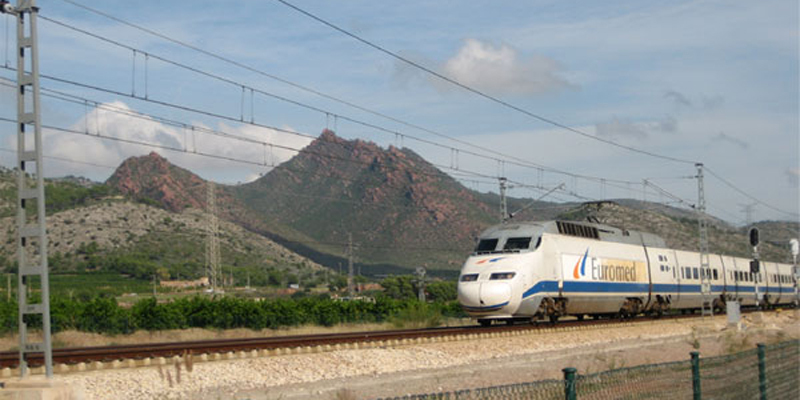 When the two branch lines converge, there starts a 1-km double-track line that ends with the connection to the Segovia – Medina conventional railway. As for the layout, 5 overpasses and 3 viaducts have been designed (along with the aforementioned arched support structure) to maintain land permeability and protect the areas of environmental interest.